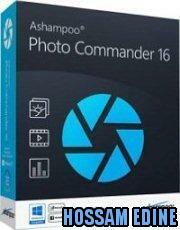 Ashampoo Photo Commander16 is probably the only tool you need for organizing, editing, sharing and presenting your digital photos. 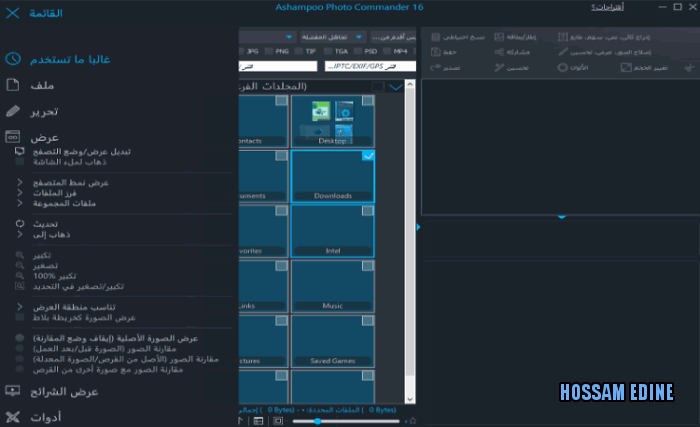 In addition to this it can also be used for managing your audio and video files, with high-quality integrated players. Finding photos is easy, no matter how big your collection is: You can sort and search for images and duplicate images by names, tags and other attributes, view your collection by folder or date, view thumbnail previews of all your images and more. Instant previews and full-screen mode are always just a click away, along with integrated viewers and players for video and audio files. All the Photo editing tools you need are included, you don't need additional software: Enhance your images with the one-click optimizer. Remove the "red eyes" from flash photos, adjust colors, contrast, hue and many other parameters, resize, crop, rotate and add a wide range of special effects, including some brand-new effects in version 8After editing you can then use the many integrated creativity tools to turn your photos into slide shows with music, web albums, Photo collages, calendars and more. There's also a Photo Collage tool that creates an attractive collage of multiple photos in seconds, with a 3D effect so that the result looks like a real collage of photos on a pin board with a background.